There are instant discounts of Rs 1,500 on purchase via ICICI bank debit or credit cards on the purchase of either the Nokia 6 or the Nokia 8. Amazon India is hosting the 'Nokia Mobile Week' where the e-commerce giant and the smartphone manufacturer have announced new discounts and offers. Amazon currently has deals on the on the mid-range Nokia 6 and the flagship Nokia 8 smartphones by HMD Global. The sale took off on 8 January and will continue until 12 January. There are instant discounts of Rs 1,500 on purchase via ICICI bank debit or credit cards on the purchase of either the Nokia 6 or the Nokia 8. The Nokia 6 can now be purchased at Rs 12,779 through an exchange offer by giving up your old smartphone. This amount includes an additional Rs 1,000 off that Amazon will give out on exchanging your previous handset. The Nokia 8 has an Amazon Cashback of Rs 2,000, which will reflect in your Amazon account in three working days. The Nokia 6 is currently selling at Rs 14,199 and in our first impressions of the device we concluded that the phone was "A healthy reboot for a nostalgia-heavy brand". The Nokia 8, on the other hand, is selling at a price of Rs 36,999 and it has two colour variants namely Tempered Blue and Polished Blue. In other Nokia related news, HMD-Global, distributor of Nokia-branded phones, was reported to have started rolling out the Android Oreo (8.0) firmware for the recently released Nokia 6 (2018). 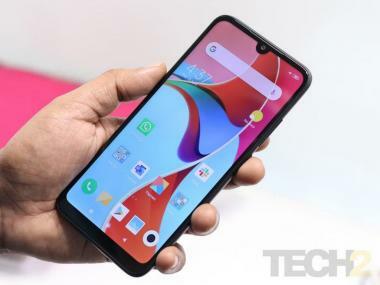 The 32 GB variant of the device has been priced at CNY 1,499 (around Rs 15,000) and the 64 GB variant has been priced at CNY 1,699 (around Rs 17,000). 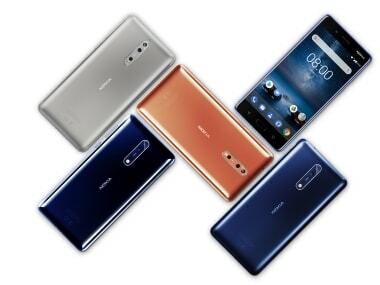 Nokia 6 (2018) is available in Black with orange accents and White with red accents colour variants.